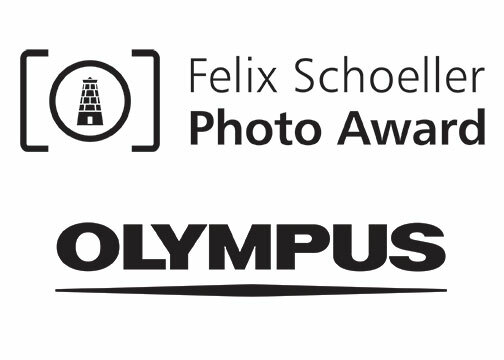 Center Valley, PA—The Felix Schoeller Photo Award welcomed a new partner: Olympus Deutschland GmbH is the new sponsor for the Emerging Photographer Award in the next awards ceremony. The agreement was signed by both parties in early December 2016, with Olympus reinforcing a commitment to its strategy of putting its target audience of professional photographers, and especially emerging, up-and-coming talents, in the spotlight. Both parties committed to work together for an initial period of two years. Olaf Kreuter, head of Consumer Marketing for Germany and Austria in Olympus Deutschland GmbH’s Consumer Products Division, asserted the collaboration with the Felix Schoeller Photo Award would be a success. A particular impetus behind this commitment was the company’s desire to support up-and-coming talent. “This gives us direct access to our target audience for tomorrow: young, creative photographers, who are open to new experiences, who follow unconventional paths, and who are therefore open to new concepts in terms of equipment,” said Kreuter. 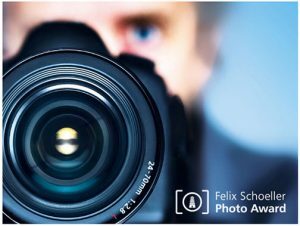 “The Felix Schoeller Award is therefore the ideal platform for us to present our product range to professional photographers. It’s a partnership of equals that we are delighted to be entering into,” added Kreuter. Dr. Friederike Texter, senior vice president of Corporate Communications at Schoeller Technocell GmbH & Co. KG, also commented on the partnership. “The award has already built a really positive reputation after just two previous rounds. And it’s clear evidence that we are on the right track: photographers openly give us feedback that’s often very positive, and frequently do so in a very personal manner. The standard of the work that is submitted is also very high. The third international Felix Schoeller Photo Award is about to open for entries. Professional as well as enthusiast photographers can submit their work at felix-schoeller-photoaward.com from January 1 to May 31, 2017. The Felix Schoeller Photo Award honors work that demonstrates a love of photography, combined with the most demanding quality standards for images. Prizes are awarded every two years and are open to international entrants. A five-member jury will deliberate on award winners. The contest categories are portraits, landscapes and nature, architecture and industry, photojournalism and editorial, and free/conceptual photography. The jury will be led by the internationally renowned, Düsseldorf-based portrait photographer, Michael Dannenmann. In addition, the overall winner is chosen from the list of category winners. After the photography competition ends, the winners as well as nominees will be exhibited at Osnabruck’s Museum of Cultural History.